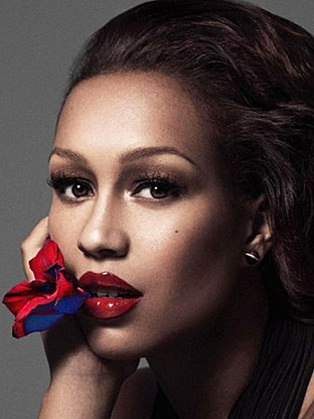 Rebecca Ferguson is a British singer and songwriter. Rebecca Ferguson came to prominence in 2010 when she became the runner-up of The X-Factor, losing to Matt Cardle. Ferguson's debut album, Heaven, was released in December 2011 to commercial and critical success. The album sold 128k in its first week and peaked at No. 3 in the UK Official Charts, making Ferguson the fastest-selling debut solo artist of the decade between the years of 2007 - 2017. Co-written by Ferguson, it was certified two times platinum in the UK and platinum in Ireland. The album yielded six singles including lead single “Nothing Real But Love” which enjoyed commercial success throughout much of Europe and Oceania, entering the UK Single Charts at number 10. A deluxe version of the album included the single “Backtrack” which entered the charts in October 2012 at number 15, giving Ferguson her second Top 20 hit. Ferguson's second studio album, Freedom was released in December 2013. It met with positive reviews from critics and commercial success in the UK where it charted at number 6 and has since been certified Gold by the BPI. In 2015 Ferguson released her third studio album Lady Sings the Blues, a number of jazz classics made famous by Billie Holliday.